New Rich Cards for NewsArticle, LocalBusiness? 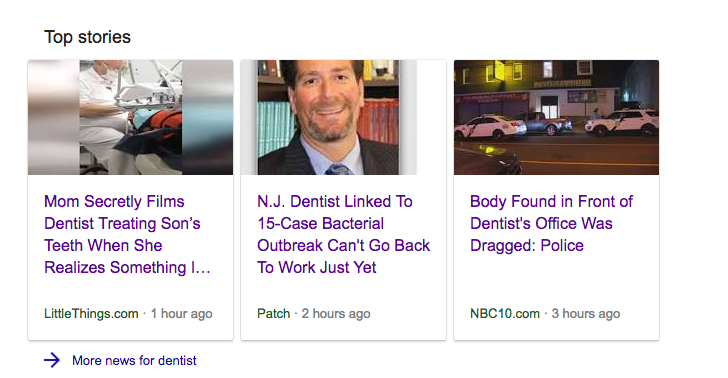 Google appears to be showing Rich Cards now for sites using markup for NewsArticle. This preview window is similar to the recently released “Recipe” markup that Google began to experiment with in the past few months. It looks like Google might begin to show an estimated price range for services rendered, as well as a phone number to call directly from the SERPs. Only time will tell. The examples above were taken from markup I recently implemented on some client sites. Interestingly enough, I have listed “contactPoint” with telephone information within this schema declaration, however Google seems to ignore it in favor of a telephone declaration that stands alone. Anyone find any live examples of Google LocalBusiness Rich Cards? List them below! Get help with your local search optimization by contacting us today.